InnovoPro is a food technology company based in Israel, specialising in chickpeas as a protein source. In December of last year, InnovoPro raised $4.25 million in a funding round led by Migros, Switzerland’s largest retailer, and Erel Margalit, founder and chairman of Jerusalem Venture Partners. 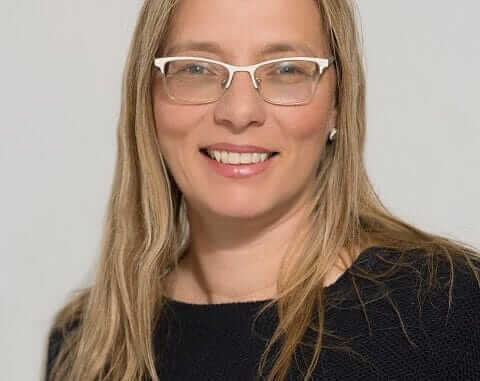 InnovoPro has been recognized as an innovator of disruptive technology in the food industry, and since its launch was named among the Start-up Innovation Challenge Winners in 2017, and was named as winners of the 2018 Israeli Food Tech Startup Competition. We spoke with CEO Taly Nechushtan about their innovative technology and plans for the future. Please introduce your brand to our readers. Innovopro is the first company in the world to launch a 70% chickpea protein concentrate, an innovative plant-based protein that adds value to both producers and consumers. It extends customers’ choices for a new, clean-label, non-GMO and non-allergenic source of protein and it brings excellent food-technology properties as well as benefits in terms of functionality, health, nutrition, taste and mouthfeel. Our CP-Pro 70® has a unique combination of properties which include: superior functional qualities, high nutritional value and being clean-label, gluten-free and non-allergenic. All of these properties make the chickpea protein significantly different from market-available alternatives. Based on our unique ingredients we develop various food applications such as dairy-free beverages, puddings, mayonnaise, protein bars and more. Innovopro was established by Dr. Asher Shmulewitz, a biotech entrepreneur and investor. Dr. Shmulewitz was fascinated by the idea that food could prevent and cure diseases. Wanting to bring health and wellness to his patients, he studied the chickpea, which is today known to be a non-allergenic superfood. We at Innovopro follow his path to bring a healthy plant based solution to the food a beverage industry. What are the benefits of chickpea protein? The product has a very neutral taste and color which allow it to be applied, both as a protein or a binding agent, to clean label products without the need to mask the taste and color with artificial ingredients. The production process is highly sustainable with a reduced water and carbon footprint, assisting the industry in meeting its sustainability targets. How will the demand for new proteins rise over the next years? Which products have you developed from chickpea protein? 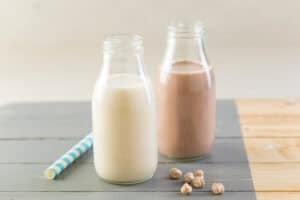 We supply the raw material- chickpea protein concentrate to the industry, and have done several in-house applications for demonstrations like dairy free yogurt, desserts and beverages, protein enhanced crackers and energy bars as well as egg free mayonnaise . You recently raised 4m in funding – how will this be invested? What are your InnovoPro’s plans for the coming year and further into the future? We plan to expand our sales and support our customers with new product launches. How will the vegan lifestyle develop in the coming years, in your opinion? We expect that the numbers of people who avoid animal based product to increase due to growing global awareness to sustainability concerns ,the vegan nutrition health benefits and to growing varieties of tasty vegan food options to consumers worldwide.